ATTENTION! Fits approx. one size smaller! The 2019 version comes with wide grind trucks! 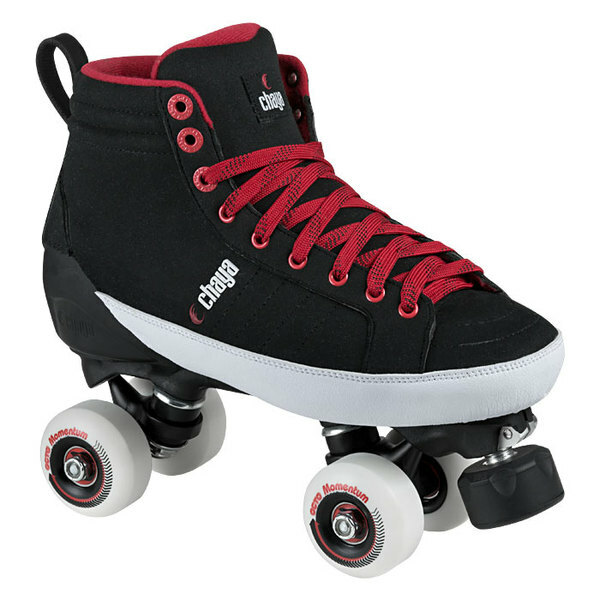 CHAYA is a pure roller derby and roller skate brand from POWERSLIDE. They have been working for over three years to perfect their product line and to make sure they introduce a unique design which does not compare with any other brand on the market. CHAYA's image is clean, pure, and only focused on what is needed for boots and plates. The Karma is the ultimate Rollerskate for Skateparks. The sturdy nylon fiberglass composite shell is lightweight and directly glued & stitched to the suede leather /microfiber outer skin. A great power transmission is the result. The tongue and the inner lining are well padded and keep your foot comfy supported all the time. Small cut. Please choose one size up! Find more info below the video. The plate is made of a fibreglass reinforced nylon composite material, which makes the plate extra stiff and responsive and provides a smooth ride. The king pin and axles are made of steel while the cushions are made of high quality PU for easy turns and skating pleasure. This plate features the Power Toe System (PTS) for better performance, more power, speed and control. The front of the plate is raised and angled closer to the natural bend of the out sole. This ensures that the muscles of the feet are pre-tensioned, which makes it easier to push the skates. The replaceable toe stopper is placed off set towards the inside of the plate to follow the anatomical and natural movement when a skater wants to stop or is walking on the toe stopper. The stopper itself is made of long lasting natural rubber material, which provides great performance. 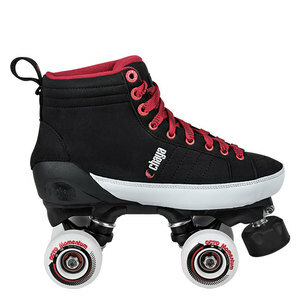 The OCTO Monumentum wheels of the CHAYA roller skates are made of SHR PU-material. With a size of 58mm x 32mm and a hardness of 100A the wheels are perfect for skateparks.